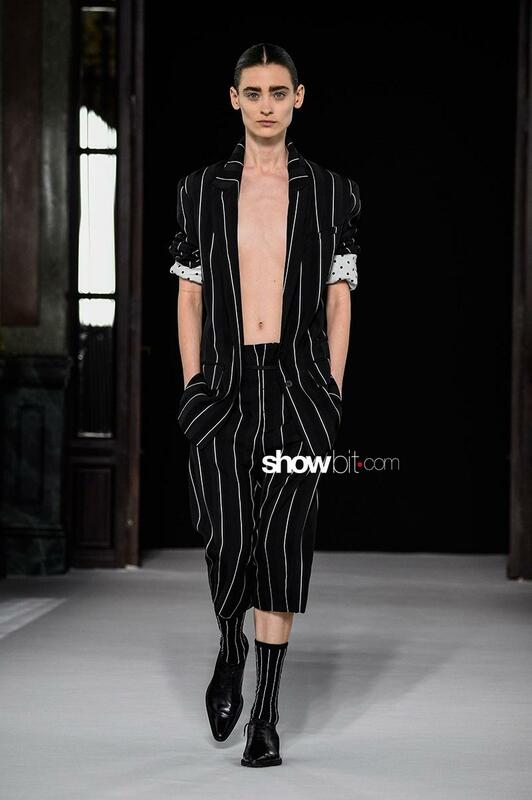 Mostly black and white, Haider Ackermann‘s new Spring Summer 2018 Menswear Collection marked a new phase in the creative life of the Colombian designer. The designs are getting more mature, the line cleaner and it seems they’s tending to a certain composure. 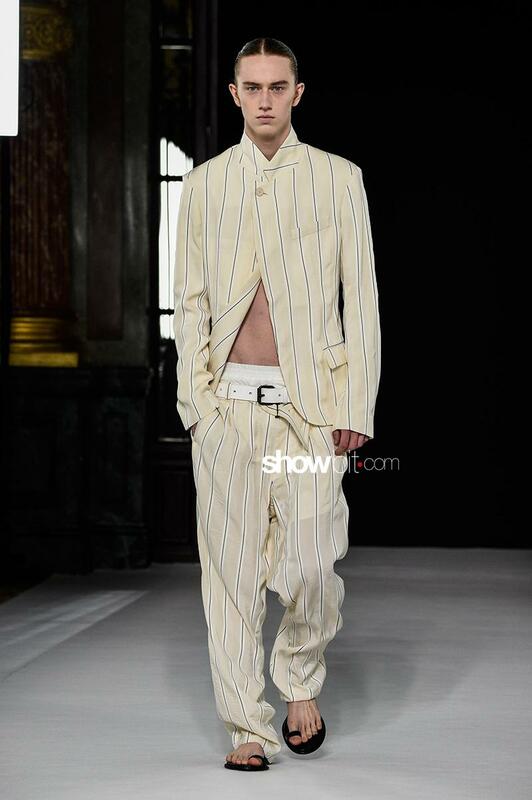 Stripes and dots were the main themes on the garments, maybe moking more formal patterns. 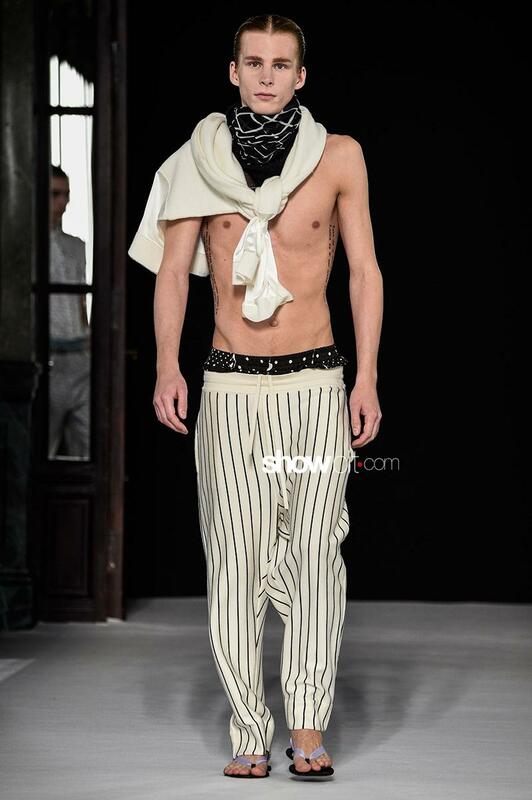 Alongside the menswear pieces, we saw some women’s looks: blurring the lines between the genders, Haider Ackermann nailed when it comes to storytelling and consistency.